Colorado Dental Association (CDA) 132nd Annual Session is organized by Colorado Dental Association (CDA) and will be held from Jun 06 - 09, 2019 at The Stanley Hotel, Estes Park, Colorado, United States of America. This Conference has been approved for a maximum of 19.5 CE Credits. Course Sessions: Hurts So Good! 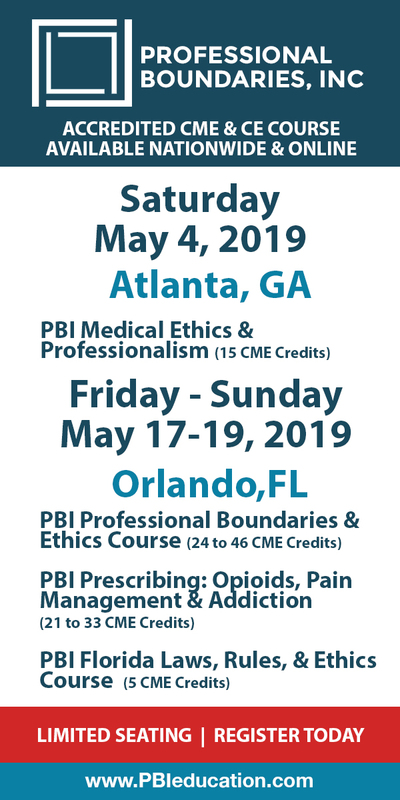 Management of Dental Pain and Appropriate Opioid Prescribing Practices Course Synopsis: Management of acute dental pain is accomplished through a clinical approach that successfully incorporates opioid and non-opioid analgesics. However, this normally occurs outside the dental office, away from our immediate supervision and we are often faced with the difficult task of managing patient pain while also avoiding adverse outcomes for both our patient and our communities. Thus, it is critical for clinicians to accurately identify the need for pain control and associated risks, and to assess the efficacy of analgesic agents to be administered. This program will provide an overview of effective dental pain management and identification of addiction. Special emphasis will also be given to a discussion of purported uses of cannabis in pain control and appropriate opioid prescribing. Learning Objectives: • Describe the pharmacology and mechanism of action of opioid and non-opioid analgesics. • Explain the intended role of opioid and nonopioid analgesics in the management of acute dental pain, as well as situations which may preclude their use, based on a patient’s underlying medical conditions. • Explore the purported role of cannabis, with and without opioid analgesics, in the management of acute dental pain. • Discuss appropriate prescribing practices for opioid analgesics to utilize in everyday clinical situations. Assessment of Apnea/Pre-Apnea in the Pediatric Dental Patient: Then what? Course Synopsis: Poorly aligned teeth and jaws are rarely found in pre-Industrial skeletal and fossil records and seldom seen in modern day aboriginal societies. Human malocclusion (HM), now pandemic in industrialized cultures, is a relatively recent phenomenon. Changed cradle to grave dietary strategies characteristic of cultural industrialization seem to play a role in the increased prevalence of skeletal-dental HM. This course describes how antecedents to HM can initially be detected in early childhood, possibly during fetal development, then addressed with orthopedic intervention and non-retractive orthodontic/dentofacial orthopedic intervention strategies. Interestingly, for mutual pediatric patients who suffered from habitual mouth-breathing and enlarged adenoids, some of these early intervention regimens had been effectively in use since the mid/late-19th Century with close collaboration between physicians and dentists. Learning Objectives: • Identify early malocclusion. • Decrease risk for developing comorbidities associated pediatric SDB/OSA, ADD/ ADHD and other airway-related systemic disorders with appropriate intervention. • Improve naso-respiratory ability in children who are in the primary or early mixed dentition with co-morbid retrusive and constrictive malocclusion using non-retractive orthodontic/dentofacial orthopedic intervention strategies. Happiness #NoFilter Course Synopsis: Is your plate full? How full is your bucket? Does your cup runneth over? We’re dentists and spouses and parents and siblings and volunteers and teachers and employers and colleagues and friends and caretakers…whew! It’s easy to get lost. This course will teach you about multiple levels of happiness and how to assess where you are on the happiness scale at home, at work, in relationships, etc. Wellness is an act of prevention and by attending this session, you will be armed with the mental tools needed to thrive at home and at the office. Strive to live with intention and purpose. Learn to feed yourself with the components that create your ideal blueprint for life. This seminar and discussion will give you tips that you can start using the second you walk out the door, and steps to promote change in the future. Learning Objectives: • Discover what you think you need and what you really need for happiness. • Understand why money isn’t the only measure of success. • Learn how to make your patients the beginning, rather than the end in goal setting. • Understand intentional living and how to implement it. Lunch and Learn! Opioid Alternatives for Treating Dental Pain Forum Course Synopsis: Be a part of the opioid discussion in Colorado. The CDA seeks your expertise and feedback regarding pain management guidelines for dentistry. This input session will help the CDA advocate on your behalf with Colorado policymakers. Top of the Heap. Frequently Prescribed Medications and Clinical Dental Considerations Course Synopsis: The challenge faced by all clinicians today is to provide safe and effective dental treatment to our medically complex patients. However, dental professionals find themselves practicing in a marketplace awash in direct to consumer advertising of prescription drugs and in the midst of an explosion of new drug entities over the last several years. Thus, many dental professionals may find it challenging to stay up to date with the latest prescribing trends in disease state management. This program will provide an overview of those frequently prescribed brand name medications whose actions, side effects, contraindications and potential drug interactions may have the greatest impact on dental therapy. Learning Objectives: • Identify the most frequently prescribed FDA-approved brand name medications for the treatment of systemic illnesses. • Discuss the basic mechanisms of action, potential adverse reactions, drug interactions and contraindications of these medications. • Explain the clinical dental considerations of these medications and their potential impact on dental therapy. • Describe patient management strategies essential for successful treatment planning and proper care of our medically complex dental patients. Assessment of Apnea/Pre-Apnea in the Pediatric Dental Patient: Then what? Course Synopsis: Poorly aligned teeth and jaws are rarely found in pre-Industrial skeletal and fossil records and seldom seen in modern day aboriginal societies. Human malocclusion (HM), now pandemic in industrialized cultures, is a relatively recent phenomenon. Changed cradle to grave dietary strategies characteristic of cultural industrialization seem to play a role in the increased prevalence of skeletal-dental HM. This course describes how antecedents to HM can initially be detected in early childhood, possibly during fetal development, then addressed with orthopedic intervention and non-retractive orthodontic/dentofacial orthopedic intervention strategies. Interestingly, for mutual pediatric patients who suffered from habitual mouth-breathing and enlarged adenoids, some of these early intervention regimens had been effectively in use since the mid/late-19th Century with close collaboration between physicians and dentists. Learning Objectives: • Identify early malocclusion. • Decrease risk for developing comorbidities associated pediatric SDB/OSA, ADD/ ADHD and other airway-related systemic disorders with appropriate intervention. • Improve naso-respiratory ability in children who are in the primary or early mixed dentition with co-morbid retrusive and constrictive malocclusion using non-retractive orthodontic/dentofacial orthopedic intervention strategies. 66th Family Medicine Review is organized by University of Colorado School of Medicine and will be held on Jun 16, 2019 at YMCA of the Rockies - Estes Park Center, Estes Park, Colorado, United States of America. Additional details will be posted as soon as they are available. 55th Annual Internal Medicine Program is organized by University of Colorado School of Medicine and will be held from Jul 14 - 19, 2019 at YMCA of the Rockies - Estes Park Center, Estes Park, Colorado, United States of America. Accreditation: The University of Colorado School of Medicine designates this live activity for a maximum of 24.5 AMA PRA Category 1 CreditsTM. Physicians should claim only the credit commensurate with the extent of their participation in the activity. American Osteopathic Association This program is approved for 24.5 AOA Category 2-A CME credits. ABIM MOC Recognition Statement Successful completion of this CME activity, which includes participation in the evaluation component, enables the participant to earn up to 24.5 Medical Knowledge MOC points in the American Board of Internal Medicine’s (ABIM) Maintenance of Certification (MOC) program. Participants will earn MOC points equivalent to the amount of CME credits claimed for the activity. It is the CME activity provider’s responsibility to submit participant completion information to the ACCME for the purpose of granting ABIM MOC credit. Course Overview: Welcome to the 55th Annual Internal Medicine Program, a highly practical and evidence-based update of topics in Internal Medicine and allied specialties that are the most rapidly changing. This program is designed to meet the needs of busy practitioners who practice ambulatory and traditionalist medicine as they care for some of the most challenging cases facing primary care providers today. 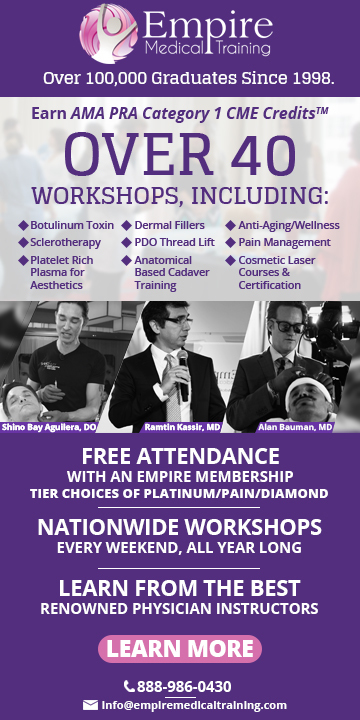 Our highest rated speakers will deliver state-of-the-art lectures and workshops on topics directly chosen by community physicians and previous registrants who personally recognize the learning needs of clinicians. This year’s program includes talks and interactive workshops designed to sharpen diagnostic and therapeutic skills. Ample time will be given so that registrants can ask questions and explore clinical challenges with the speakers. Physicians will be able to earn Medical Knowledge MOC points from The American Board of Internal Medicine for participating in the Internal Medicine Program this year. Course Objectives: At the end of this conference, course participants should be able to: • Recognize when testosterone should be checked and who needs treatment, ways to improve documentation and communication in order to mitigate risk management concerns, the many forms of PTSD and how to manage them or refer, and the numerous future medicine technologies and how they are already shaping practice and the direction of healthcare. • Manage care for immunocompromised patients, adrenal disease, dysfunctional uterine bleeding, menopausal symptoms, pain using non-opioid strategies, NAFLD, chronic kidney disease, and diabetes utilizing the latest equipment and medications. • Assess suicidality and safety in the outpatient setting, infertility, risk for substance abuse disorders and how to start treatment and refer to resources, whether or not aspirin is indicated for primary prevention, gait disorder in the elderly, new drugs for older adults, candidates for both medical and surgical/bariatric treatment(s) of obesity. • Analyze how patients fit in the new cholesterol guidelines, how the latest hospital medicine literature can be applied to their inpatient practice. • Conduct adept eye and knee exams as well as knee injection techniques, an assessment of practice patterns and eliminate low-value care practices, safe prescribing for patients and especially the elderly. Additional details will be posted as soon as they are available. Colorado Society of Oral and Maxillofacial Surgeons (CSOMS) 2019 Summer Meeting is organized by Colorado Society of Oral and Maxillofacial Surgeons (CSOMS) and will be held from Jul 19 - 21, 2019 at The Stanley Hotel, Estes Park, Colorado, United States of America. Additional details will be posted as soon as they are available. 9th Annual International Conference of Aldosterone and ENaC in Health and Disease: The Kidney and Beyond is organized by American Physiological Society (APS) and will be held from Oct 02 - 05, 2019 at Estes Park, Colorado, United States of America. Additional details will be posted as soon as they are available. 67th Family Medicine Review is organized by University of Colorado School of Medicine and will be held on Jun 14, 2020 at Estes Park, Colorado, United States of America. Additional details will be posted as soon as they are available. 56th Annual Internal Medicine Program is organized by University of Colorado School of Medicine and will be held on Jul 12, 2020 at Estes Park, Colorado, United States of America. Additional details will be posted as soon as they are available.